Click the virtual tour link to experience the interactive 3D Model! Clean & Updated are two words to describe this adorable 3 BR, 2 BA tri-level home with a large, fenced yard. Get ready for a moving party because the hot tub & basement flat screen TV are included! Mostly solid surface flooring in the home makes cleaning a breeze. Beautiful, brand new flooring in the basement and bathrooms. Newer carpet, all light fixtures replaced/updated. Samsung washer & dryer are included too and only 1.5 yrs old. 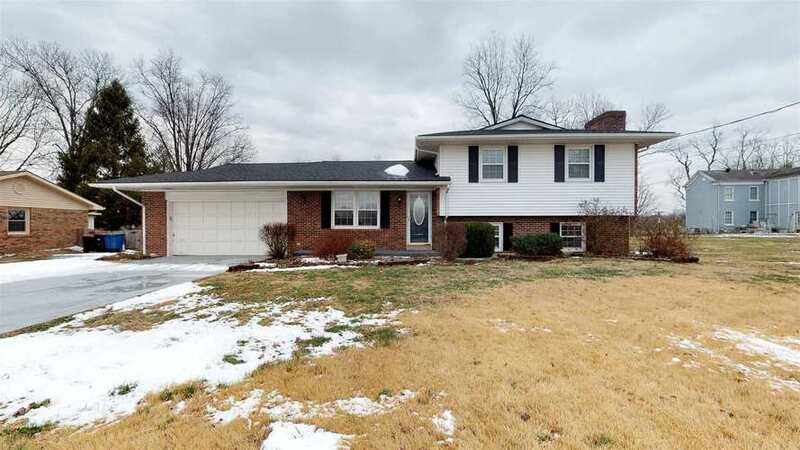 Remodeled kitchen boasts crisp white cabinets, new dishwasher (Dec 2017), updated counters & tile back splash, breakfast bar with a pendant light, pantry cabinet, plus a dining area with easy access to the deck. Three bedrooms upstairs and a remodeled bathroom featuring new flooring, granite top vanity, linen closet, tub/shower, and separate access to master. Ceiling fans all bedrooms. You’ll love all the extra space in the basement level consisting of a large family room with full brick fireplace, laundry room, full bath, and a cozy den that can be shut off by sliding doors. Or use the whole basement as your master suite (there are wall closets in the FR!). New roof 2017, tilt-in replacement windows, hot tub-new cover & recently serviced. The sizable back yard is great for so many different activities and includes a yard barn, patio/deck area with hot tub. Seller is providing a $520 AHS home warranty for the new owner.